This week I met photographer Alex Ward to get some photos taken for the new website and update my social media mugshots. We had a good chinwag along the way and one of the topics we discussed was the importance of good photography in PR and marketing. As a PR, one of my biggest bugbears is when clients don’t have decent images to accompany their stories or content – it really does make or break a story. From Alex’s point of view, his approach aims to make sure that your brand personality comes across in the pictures. Whether you’re using images on your website, social media or sending them to news publications – if they look unprofessional or poor quality, it won’t reflect well on your business. Why do you need good photos for your PR and marketing? I’ve lost track of the number of times I’ve asked clients to send me a head shot to go with a news story only to be sent a selfie. Taken on an old phone. In a dark room. With a plant growing out of their head. The cameras on smartphones these days are pretty good and in the right light, you can take decent shots. And in some situations, these photos will be fine to use in your PR and marketing. But in an ideal world, you should invest in some decent head shots, team photos and ‘business in action’ images. Media coverage: In some cases – such as announcing a new appointment – the media won’t even publish the story unless there’s a decent image to go with it. In other cases, having a good photo or collection of images can make all the difference between a small, text-based story – which the reader could easily miss – and a longer feature, with lots of eye-catching images for maximum impact. A charity I work with often gets interactive photo galleries online, full page spreads or even makes the front page of newspapers when we’ve got great photos to go with the story. Delivering the right message: A picture is worth a thousand words, and it’s vital in PR and marketing to make sure your images convey the right message to your audience. If someone knew nothing about your business other than what they could see from a single photo, how would they describe you? If you’re not proud of an image going out into the public realm – whether to a media outlet or on your own blog – don’t use it. Full impact: Whatever platforms you use for your content marketing – blogs, Twitter, Instagram, Facebook, Pinterest – images are vital. There’s lots of research out there to show how images can help increase engagement (e.g. tweets with images get twice as much engagement). Great value: Get some good images and you can use them across all your content platforms and marketing collateral. In the same way as you might justify buying that new designer coat or handbag for yourself (oh, but it’s an investment – I’ll use/wear it every day, so if you work out the cost per use/wear then it’s mere pennies!! ), just think how much use you’ll get out of your photos. Why do so many businesses skimp on photography? Time: I get it. Businesses are busy with their day-to-day work. The people behind the business don’t have time to even think about photography, let alone find a photographer and book in a time when everyone is free to get their photos taken. And then there’s the challenge of having to get photos as and when new recruits join. But for the sake of half a day, or even just an hour, when the photographer can take individual photos of your team, as well as some candid shots of the business in action, when you consider the points above it really is worth putting some time aside. Cost: It’s good business management to keep costs down and not spend frivolously. But guess what? Professional photos don’t have to be that expensive. I recently looked after the PR for a national company that was organising a roadshow and had to source local photographers to take pictures at each of the events. I spoke to a lot of professional photographers from all over the country to get quotes. For half a day work, plus photo edits, the costs ranged from £100 to £500. Considering how much use you’ll get out of your photos (see the point above), this small investment really does offer great value. Value: And speaking of value, some people don’t see the value in getting a professional photographer to take their photos. Everyone has a camera these days, but that doesn’t mean everyone is a photographer. A good photographer will take the time to get to know you and your business, help make you feel comfortable and work with you to make sure the photos reflect your brand in the best way possible. And if you take the DIY approach to photos for PR and marketing? 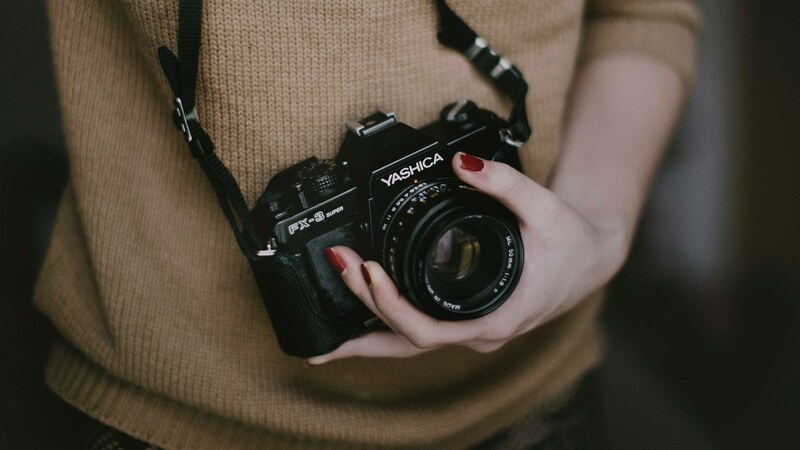 Whether you need some photos quickly or cheaply to get your PR and marketing started, or want some additional images for a blog post, there are some ways you can improve your DIY picture game. Lighting: Lots of natural light can really help to improve the look of photos. If you’re taking photos of people, have them facing the light source. Equipment: As previously mentioned, the cameras on smartphones can take OK shots – especially if you get the lighting right – but if you have access to a DSLR use that instead. Even if you just keep it on the automatic setting, the quality will look much better than your smartphone camera. Edit: There are loads of photo editing apps and software – some are free and easy to use – so have a play around with a few options to get the most out of your images. Stock images: For blog posts and social media content, stock images can be good to use – and they don’t have to be cheesy. Check out websites like Pixabay and Unsplash for free stock images. Does your business need a brand refresh? Start with a branding strategy workshop – contact us for more details.